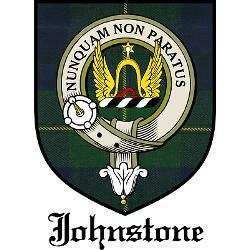 Johnstone and Johnston are alternative spellings of the same Clan. To be inclusive, we have chosen to call ourselves “Clan Johnston/e”. Many persons who spell their surname “Johnson” also share the same heritage. This Clan Johnston/e web site gives us an opportunity to communicate with our members as well as to provide accurate information about Clan Johnston/Johnstone which we hope will be of interest not only to the Johnstons and Johnstones but also to others looking for additional information on the history of the Scottish Highlands, Heraldry, clan tartans and badges, and much more. We provide historic information about The Right Honourable The Earl of Annandale and Hartfell, our Annandale heritage (with numerous interesting stories and photographs of the Johnston/Johnstone territory), our Caskieben heritage, and the Lochwood Tower archaeological and restoration project. As well as the Clan’s history and traditions in Scotland, in Ulster and in the New World, we would like to tell you about our Clan Johnston/e in America organization in the United States of America and in Canada, and provide you with information about upcoming Scottish Highland Games. Hopefully, you too will participate in your Scottish Heritage. 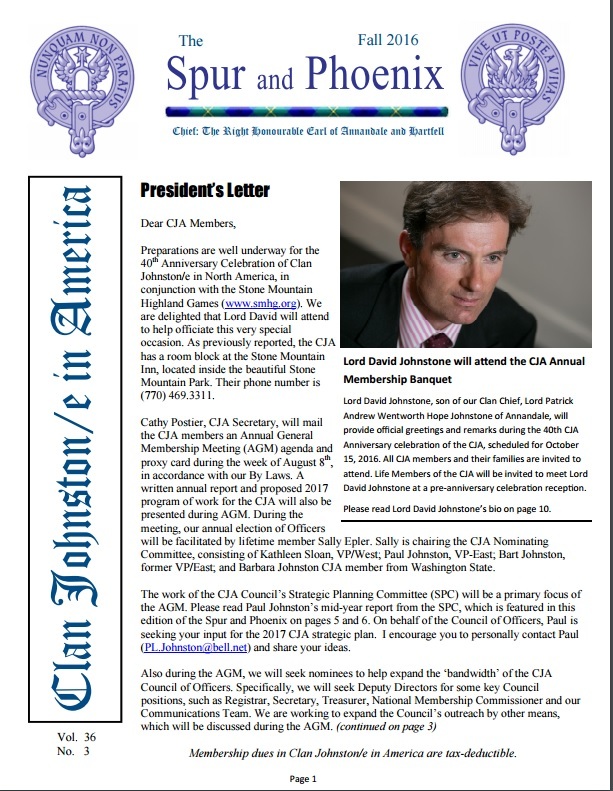 For information and memberships email: info@clanjohnstone.org.